These days, there are so many ways to lower blood sugar without insulin. But for most people, insulin is one of the scariest things a doctor can say. For starters, here are a couple of things to keep in mind. Insulin only makes up a very small percentage of a doctors prescribing regimen when it comes to type 2 diabetes. Insulin is only used for a couple of main reasons. I’ve heard of many of the doctors that I work with threatening their patients with insulin. I think this is a bad approach. All it does is make people fear insulin even more. Not to mention many associate insulin with worsened diabetes, amputations, and dialysis. But remember, as I mentioned already, insulin is usually a small part of most primary care doctors’ prescribing regimen. Usually they will prescribe an oral drug for diabetes and after 2 or 3 different drug combinations and your blood sugar levels are still out of control, then most doctors will prescribe insulin. Here on my site I share many ways to control diabetes naturally. And in a minute I’ll share more natural ways to control your blood sugar. But at some point, insulin is needed if years of high blood sugar levels persist. So the key is to find a way to control your blood sugar by one or more of the ways listed above to avoid having to go on insulin later on. First, you should always have an idea of your blood sugar levels and you want to keep them normal. Next, you’ll want to try to modify your lifestyle. And when it comes to natural ways to control blood sugar without insulin, your diet is KING. So step two is to start to incorporate a few foods, herbs and supplements into your diet that are well known for their blood sugar lowering abilities. Step three is to start to add a few basic, fun ways to get your body moving. Exercise is a great way to control your blood sugar without insulin. And last but not least, remember to take your medication. If you don’t take your medication regularly, this can affect you in a BIG way. Drugs aren’t as effective if they aren’t taken as directed. You have to understand, when you go to see your doctor and if you are already on 2 or 3 medications and you aren’t taking them as you should be, your test results may be higher. Your doctor may interpret this as these drugs aren’t working anymore when really you just haven’t been taking them. 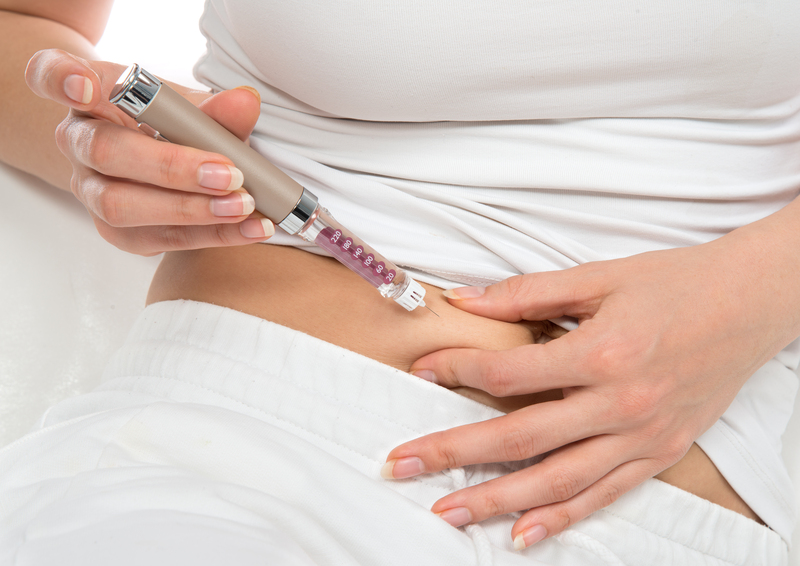 Now your doctor may feel like insulin is your best option. If you need more help in this area, take a look at my Master Your Diabetes program. I go through these steps and show you how to do it.